You’re a bishop of the Armenian Church. Miraculously you crawl out from the debris of one of history’s most ruinous, catastrophic atrocities. Your people are dead. Your churches lay in ruins. Your monasteries—for centuries the intellectual and creative nerve centers of your church—are deserted. All around you bloodied, stuporous survivors search for their children and families. Tearfully they look to you for direction, for healing, for some scrap of hope. 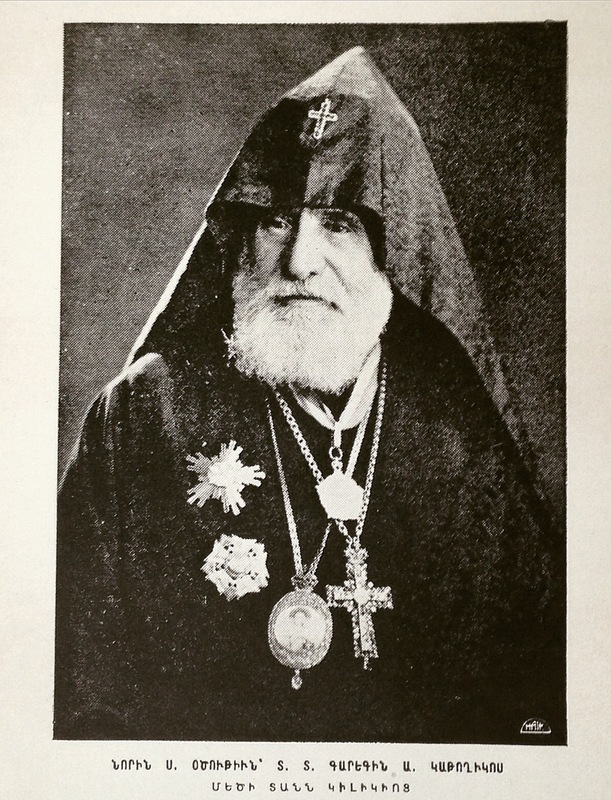 A bishop with faith, character, intellect and a vision, Garegin Hovsepian battled the Turks at Sardarabad, published books on Armenian manuscript illumination, served as Primate of the Armenian Diocese of America and later as Catholicos of the Great House of Cilicia. Dr. Roberta Ervine, Professor of Armenian Studies at St. Nersess Armenian Seminary (New Rochelle, NY) will present a lecture at the Zohrab Center on Wednesday, April 8 entitled, Picking Up the Pieces: Three Bishops and Their Vision for the Armenian Church circa 1920. The years immediately following the Genocide would seem to be an era unlikely to inspire with stories of faith, hope and vision. And yet, the very darkness of those days brought forth especially brilliant lights. Among the shining stars in Armenia’s deepest night were three great clergymen: Yeghishé Tourian, Papken Guleserian, and Garegin Hovsepian. The character, faith and achievements of these three Armenian bishops would be exceptional in any period, in any church. Circa 1920 in the dust of the Armenian Genocide these leaders’ vision and contributions simply inspire awe. Dr. Ervine will tell the unbelievable stories of these three clergymen. Where they came from, how they survived, and how, in the dust of the Genocide, they summoned a vision for their people and most of all, what future they imagined for their church. On the eve of the Genocide centennial, she will revisit the lasting impact of these bishops’ dedication, determination and prophetic insight on Armenian life and culture throughout the twentieth century and beyond. 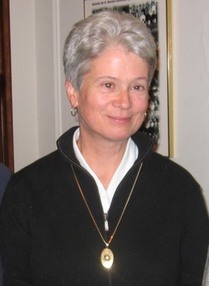 Roberta Ervine has taught Armenian Church History, Armenian Theology and Patristics and Modern and Classical Armenian at St. Nersess Seminary for more than 15 years. Prior to that she lived, studied and taught in the Armenian Patriarchate of Saints James in Jerusalem for more than 20 years. There she was a disciple of the great Abp. Norayr Bogharian. She is the author of numerous books and scholarly articles on aspects of Armenian Church History and Thought. She recently translated St. Gregory of Narek’s Commentary on the Song of Songs. The lecture is free and open to the public. A wine and cheese reception will follow Dr. Ervine’s presentation. For further information contact ZIC at zohrabcenter@armeniandiocese.org or (212) 686-0710.